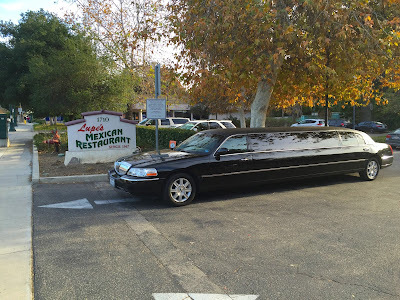 We at American Luxury Limousine take great pride in providing limo services to our local home city of Thousand Oaks. It is in the northwestern portion of the Los Angeles Area, and was named after all of the oak trees that grow in the immediate area. The city seal is even adorned with the oak tree. It was part of a master planned city by the Janss Investment Company in the 1950's. Thousand Oaks began with about 1,000 lots for custom homes, 2000 single family homes, a regional shopping mall, industrial park, and several smaller shopping centers. In 2013 the city was ranked 4th safest city with population over 100,000 in America by the FBI. 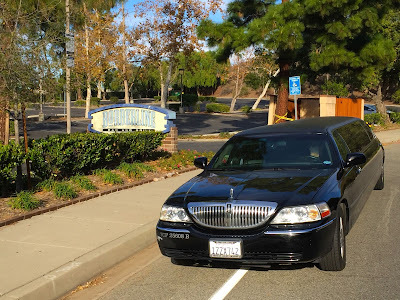 We are proud be the top rated Thousand Oaks limo service and party bus provider. The regions early years population was the Chumash people, and a visit to the local Chumash Indian Museum will show the 2000 year old cave drawings they left behind. One of their local villages found in the Newbury Park was known as Sap'wi, which is "House of the Deer." This is now a popular destination for limousine- and Ventura party bus services. It is located on national park lands in the Santa Monica Mountains of southern Newbury Park. Visiting Borderline Bar & Grill! In 1542 Spanish explorer Juan Cabrillo claimed the land for Spain. The area eventually became Rancho El Conejo, a land grant by the Spanish government. This is the basis for the name Conejo Valley, which means "rabbit valley" as the area was full of them. Well before our Thousand Oaks limo service was offered, in the late 19th century it became a stop on the stagecoach route between Santa Barbara and Los Angeles. In 1876 the Stagecoach Inn was built and eventually became the current popular museum and California Historical Landmark. This landmark in Newbury Park gets often visited by our Thousand Oaks limo service. In the early 20th century local developers, the Janss family, purchased 10,000 acres. They created plans called the "total community" and the name is still prominent in the city today. One of the regions first theme parks, Jungleland USA was founded and entertained thousands during the 1940's and 1950's. Many Movie and TV shows hired the park's trained animals and filmed there, including Tarzan, Robin Hood, and Birth of A Nation. The park closed down in May of 1968 because of heavy competition form parks like Disneyland and Knott's Berry Farm. 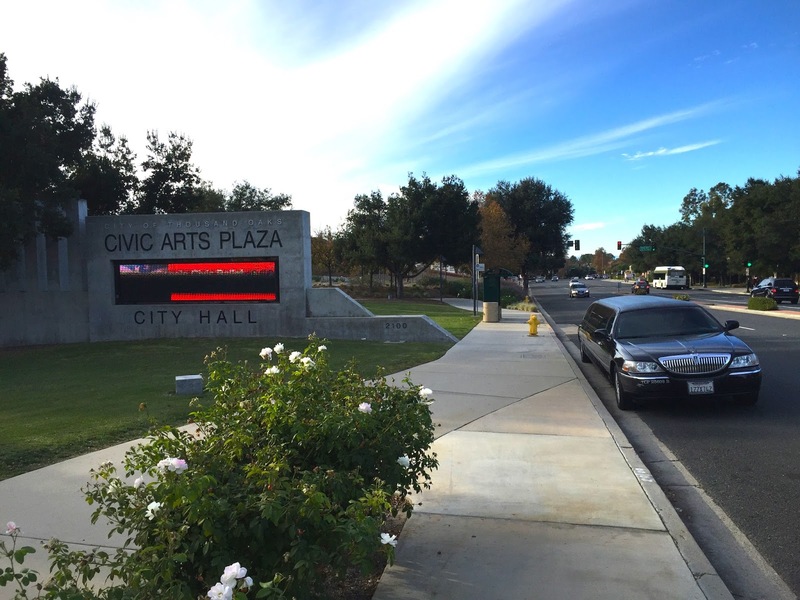 Today it is the site of the Thousand Oaks Civic Arts Plaza, and only right down the street from our American Luxury Limousine & Ventura party bus offices. The city was finally incorporated on October 7, 1964. The name was selected and approved by voters on September 29th, 1964. It is known as a "planned community" and is only one of very few that has stayed within it's master plan. Throughout the 1960's and 1970's, Thousand Oaks annexed most land in two neighboring cities: Newbury Park and Westlake Village. Only a third of Westlake Village is now outside Thousand Oaks city limits, while only the Casa Conejo neighborhood of Newbury Park remains outside of city limits in Newbury Park. In the late 1990's and early 2000s the increased development in Simi Valley and Moorpark caused heavy congestion on the 23 freeway and a major project began to widen it to alleviate the congestion. Property values appreciated over 250% in the mid-90's to early 2000s because of the desirable environment. And at this time, the now 20 year old American Luxury Limousine moved in, and later became one of Southern California's largest providers of limousine services. The Janss Conejo Ranch might be the most famous filming site in the Thousand Oaks area. This former movie ranch is now located mostly within Wildwood Park. Wuthering Heights, Sands of Iwo Jima, Davy Crockett and Lassie are just a few of the many films made here. Filming is old at the former French Ranch by the Santa Monica’s in Hidden Valley. Although the movie ranch has burned down, you can still rent a Thousand Oaks limo service to come check out the areas shown in the movies. Filming here began in the early 1930’s and a number of picture motion productions have taken place here. While the ranch is featured as New Mexico in films such as Lights of Old Santa Fe (1944) and Sons of New Mexico (1949), it dubs for Nevada in Song of Nevada (1944) and the 1946 Western Under Nevada Skies, starring Roy Rogers. French Movie Ranch can also be seen in Tarzan, The Lone Ranger, Man in the Saddle, A Lawless Street, others. Many will might be surprised to hear that movies such as Welcome to Hard Times (1967) and even Spartacus (1960) were both filmed where California Lutheran University now is located. Being the closest Thousand Oaks limo service to CLU, we often serve this university with party bus- and limousine services. Our Ventura party bus- and limo service is located on 2550 Willow Lane. American Luxury Limousine has offered party bus and limo service in town for over 20 years. Check also out Best Movies Filmed in Thousand Oaks! We have been operating our Thousand Oaks limo service for over fifteen years and providing transportation by limousines and our Ventura party bus services in the local area. We enjoy getting involved in community events and donating services to the local schools. We truly are proud to be a local company and enjoy the clientele that we have come to call family over the years. Come visit us at American Luxury Limousine today! We are located on 2550 Willow Ln. Or give us a toll-free call at (866) 319-LIMO. A party bus parked at our offices in Thousand Oaks.